1. Did you know you can create custom spaces for friends or family members? Your main space displays smart icons and device controls. Clare allows you to create a custom space for any family member, guest, or even give a visitor temporary access to your home. Each space can include as many smart icon controls desired, and can be completely personalized for each user! 2. You can control devices from your device inventory page! Your device inventory page displays all devices you have installed! If your home has many lighting devices that take up room, but are rarely used, keep them on the inventory page. You can quickly navigate down the list menu and control the device from there. 3. Have you tried adding your own lighting plug-in module? 4. Schedules are not just for thermostats! Not only can you set your thermostat to follow a schedule, you can do the same for lighting, locks, and many more! Simply tap the "+" icon in the top right-hand corner of your space, select the Configure menu, and tap Schedules. Follow the steps to create a schedule for one of your lighting devices. One of our favorites is to schedule the door to lock at 9PM every night. It's easy, try creating your own schedule! 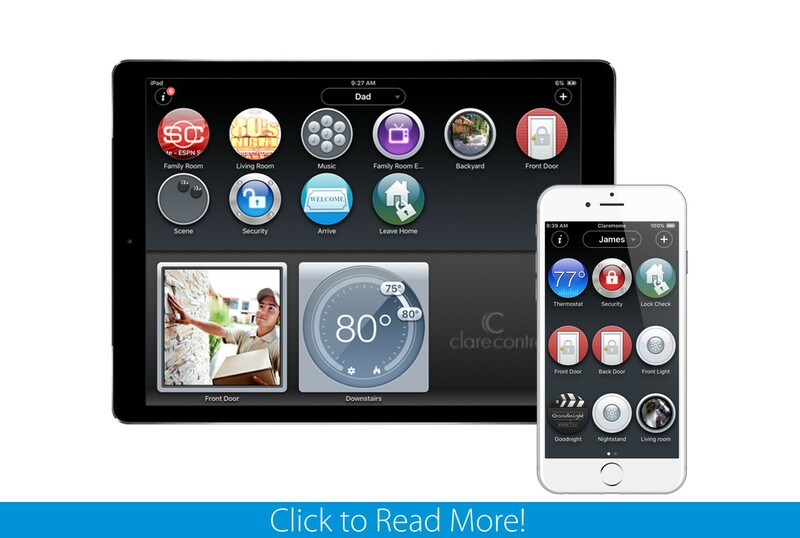 Dockables give you live access to your thermostat, lighting keypad, or cameras without having to tap an icon. Simply hold down a thermostat, lighting keypad or camera icon until the icon customization controls appear. Tap the pin icon to add your item to the dockable at the bottom of your app.